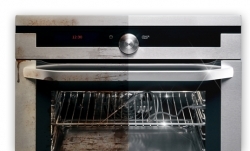 Ovenclean Blog | How Clean is Your Oven? How Clean is Your Oven? We’ve all seen Channel 4’s ‘How Clean Is Your House?’, but have you ever given any thought to how clean your oven is? So, if those crazy statistics haven’t got you motivated enough, there are other reasons to clean your oven. A dirty oven can cause your filters and other important mechanisms inside the oven to become clogged up, with grease and dirt. So, cleaning your oven will help to make it safer to use and perform better. Also, as you cook, food may fall around your oven and grease can spit out. Leaving this inside your oven can result in burnt on food and grease. 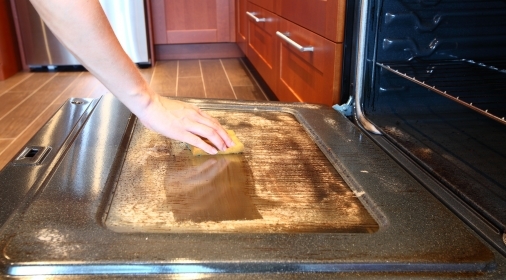 The leftover grime can hold onto germs and bacteria which could be transferred onto new food you cook in your oven. How often should I clean my oven? It is always a good idea to give your oven a quick wipe over after anything is dropped, or any grease is splattered in there. It is important to wait until it has cooled down, to avoid any accidents. Here at Ovenclean, we recommend that you give your oven a deep clean every six to twelve months. 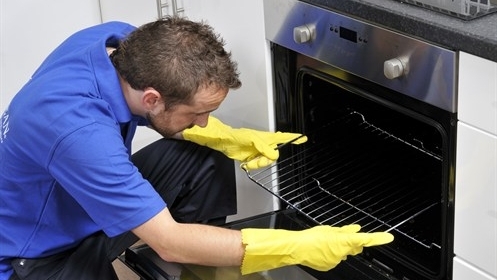 If the thought of getting stuck into a dirty oven gives you the creeps, call in the experts! Our Ovenclean specialists are trained to make your oven, hob, microwave and more sparkle again! Call us on 0800 840 7127 or complete our online form for your free quote.